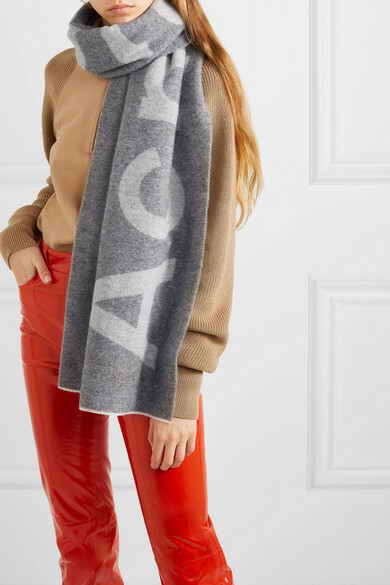 When temperatures plummet, there's nothing cozier than wrapping up in a big scarf - Acne Studios' 'Toronty' style is sized generously enough to keep out the most blistering winds. 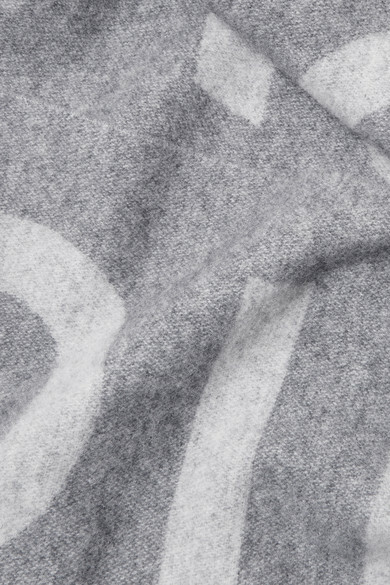 Cut in Italy from soft wool, it's emblazoned with the label's supersized moniker. The tonal-gray hues will complement practically any outfit. 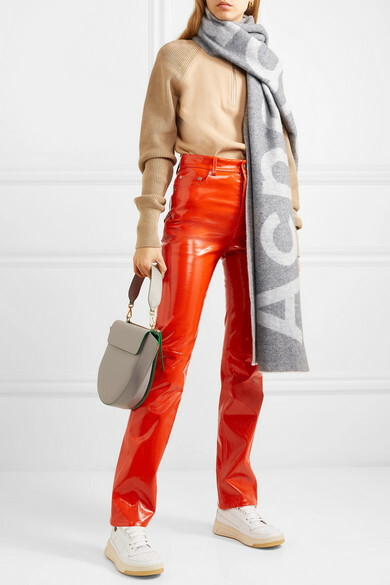 Shown here with: Helmut Lang Sweater, Helmut Lang Pants, Wandler Shoulder bag, Acne Studios Sneakers, Dinosaur Designs Earrings.